2019 Lake Collins Derby ! Save the Date ! Plan to Enter !! Click on below flyer for larger view. Welcome to California Inland Fisheries Foundation, Inc.
California Inland Fisheries Foundation, Inc., (CIFFI), is a volunteer operated, tax deductible 501 C3 non-profit foundation, incorporated in the State of California, dedicated to the enhancement of freshwater angling opportunities. The cooperative efforts between CIFFI and the California Department of Fish and Wildlife, and many partners, provide necessary funding to sustain multiple species of fish in California’s lakes and reservoirs. Founded in 1992, CIFFI is a success story in cooperative fishery management, beginning with Project Kokanee, and now providing assistance to many other projects. Fisheries for NOW... and the Future! Scroll down to the bottom of the page to see What's New On Our Facebook page. Buy t-shirts, mugs & gifts from our NEW store. Strong supporter & sponsor of CIFFI. CIFFI appreciates the support & salutes PG&E's environmental stewardship of California's watersheds. Just a reminder – to CIFFI members, and interested folks – Employers are currently setting up UNITED WAY annual fund drives for 2012-2013. California Inland Fisheries Foundation, Inc., a 501 C3 non-profit foundation, #94-3160785, is an approved, accepted recipient of funding from employer payroll deduction programs. During this drive, when your company provides choices, we hope you will consider a donation to CIFFI, automatically deducted from your paycheck. United Way provides CIFFI with documentation. Deductions begin January 2013. Thanks much! 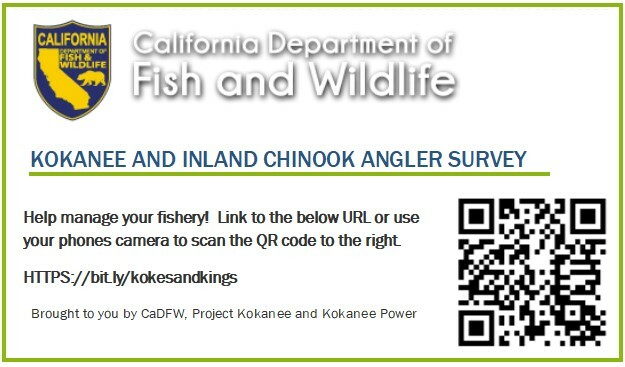 © 2019 California Inland Fisheries Foundation, Inc.